Did you know 70 percent of people believe high-quality coffee is a top perk that helps employees feel valued? 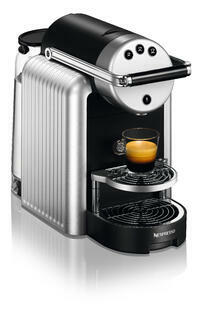 Miller's now provides NEW Nespresso Coffee Options to help deliver high quality coffee to your workplace. Learn more about our Nespresso options available below! Keeping up with the demand for larger workplaces this machine brews multiple cups at once. Easy-to-use machine offers great Nespresso everyday. Watch this video to see how to use the Zenius Machine.
" The team at Millers has renewed my faith in great customer service. They are fast, efficient, and friendly and always willing to help me find exactly what I need at the best price. They have transformed our coffee service while saving us money, lowering waste and environmental impact, and making for one happy office. " Please complete the form below for more information on Nespresso options at Miller's.